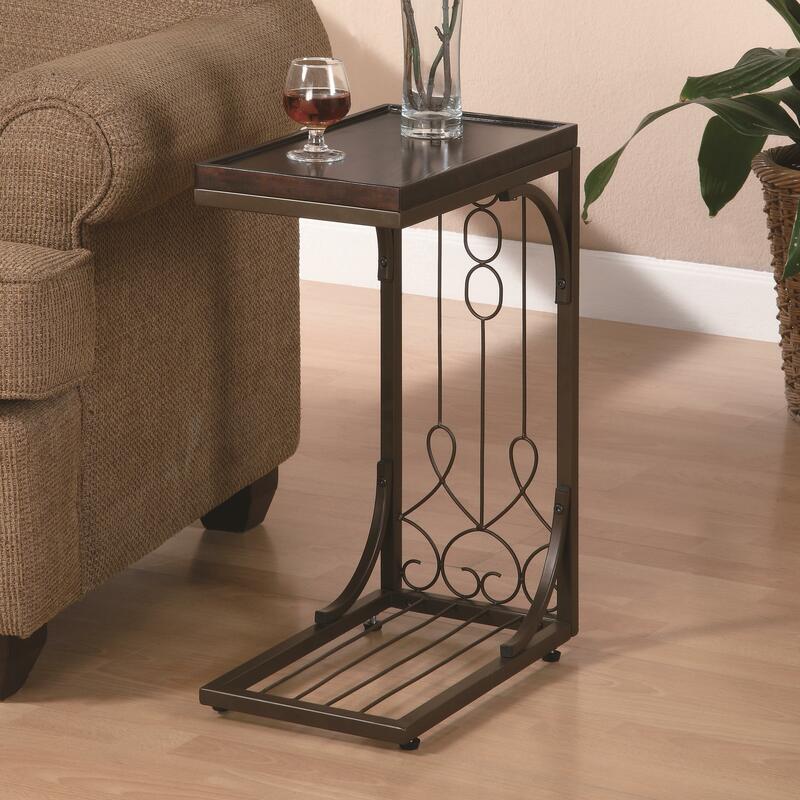 This luxurious snack table is both a beautiful accent piece and handy accessory for your living room. Fashioned with a brown finish top and burnished copper finished base, it features a beautiful scroll design throughout its base, lending it an air of refinement and touch of detail that cannot go unnoticed. A spacious top offers plenty of room for setting aside a glass of wine or bowl of snacks without having to get up or uncomfortably stretch. Classy and convenient, you can't really ask for more from this small snack table. The Accent Tables Small Brown Snack Table with Burnished Cooper Base by Rooms Collection Two at Rooms Furniture in the Houston, Sugar Land, Katy, Missouri City, Texas area. Product availability may vary. Contact us for the most current availability on this product.